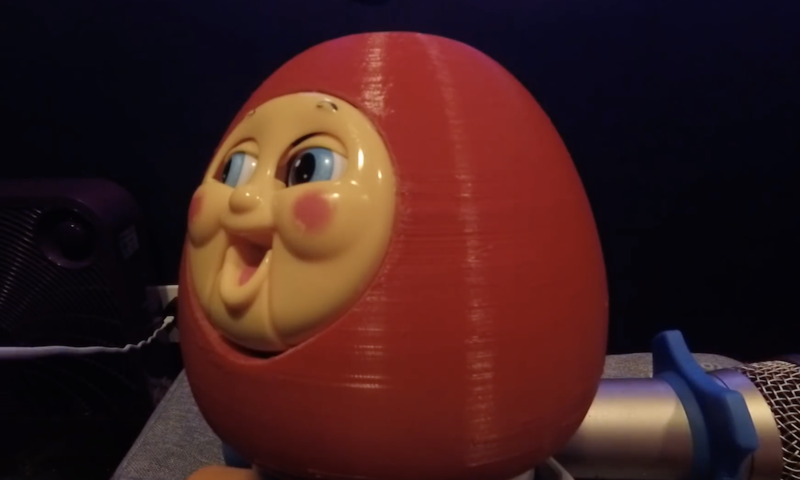 When Hunter Irving spotted a knockoff Thomas the Tank Engine toy at a thrift store, he simply had to buy it, telling himself that he’d turn it into an animatronic contraption at some point. 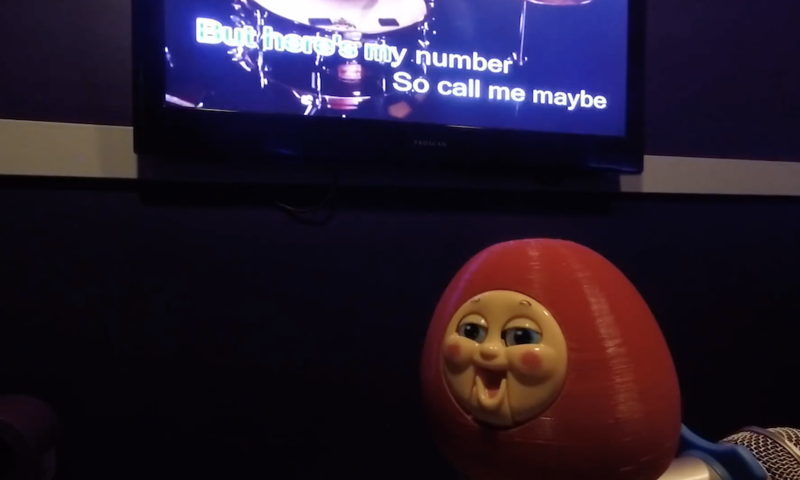 While these kind of promises often go unfulfilled, Irving converted it into an egg-shaped, karaoke-singing robot, with a mouth and eyes that move along with music. The body of this new robotic device is designed in Blender and 3D-printed, while the mechanicals inside are actuated with a servo. Control is handled by an Arduino, which responds to MIDI signals from a speech synthesizer, used to produce its eerie electronic voice.